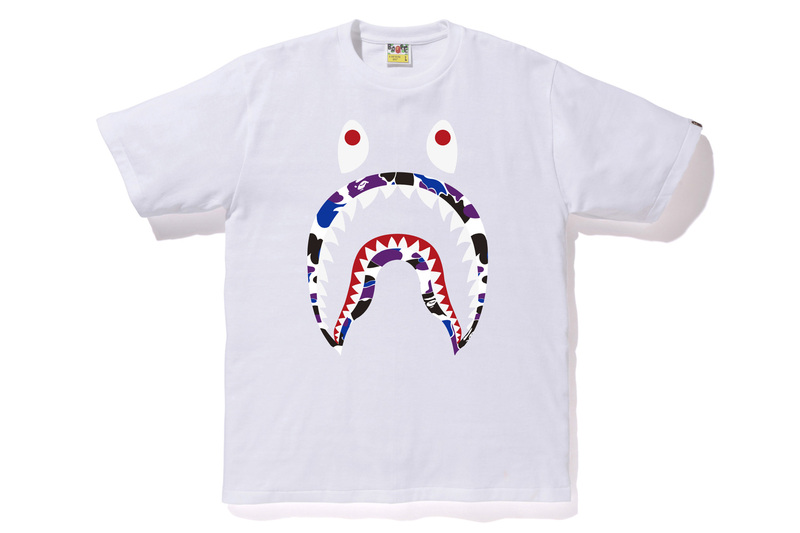 Since its inception back in 1993, Japanese stalwart BAPE has successfully encompassed the world of streetwear, setting up shops all over the world. 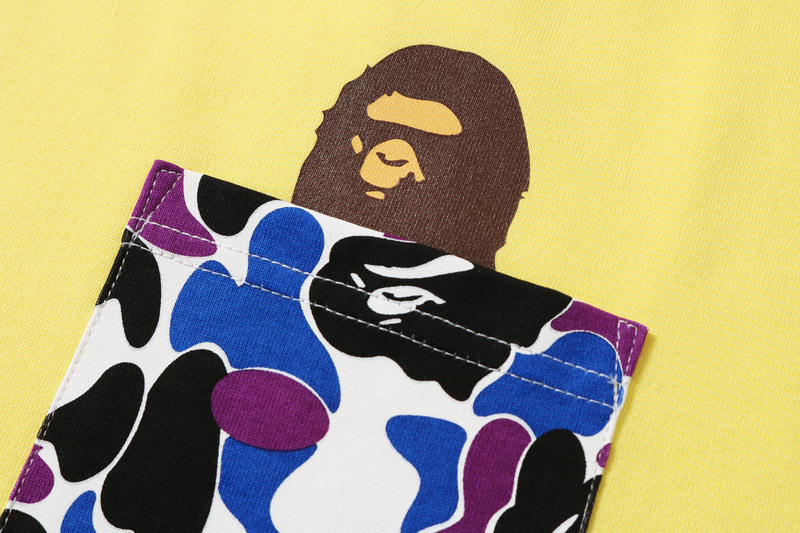 To celebrate another milestone, BAPE is releasing a special capsule in honor of its Hong Kong flagship’s 13th anniversary. 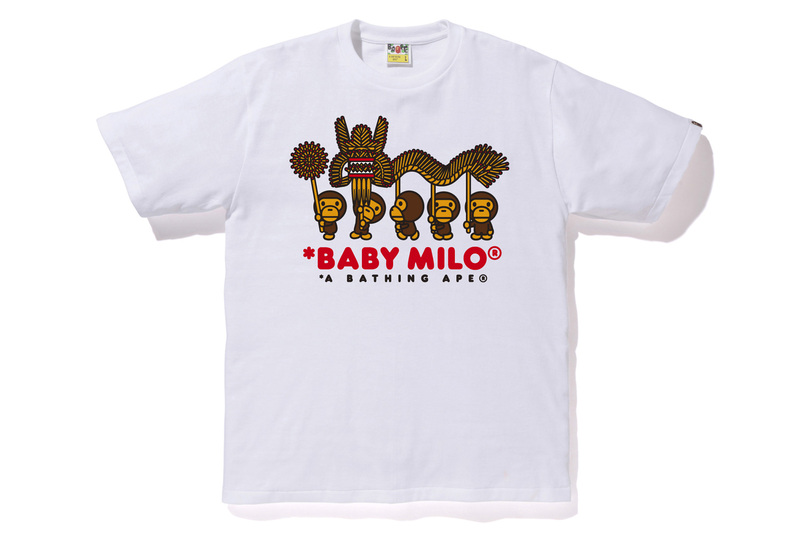 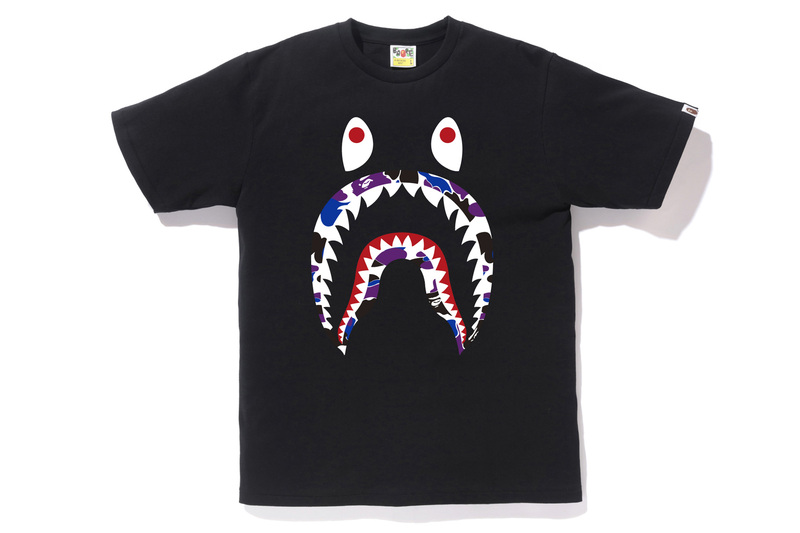 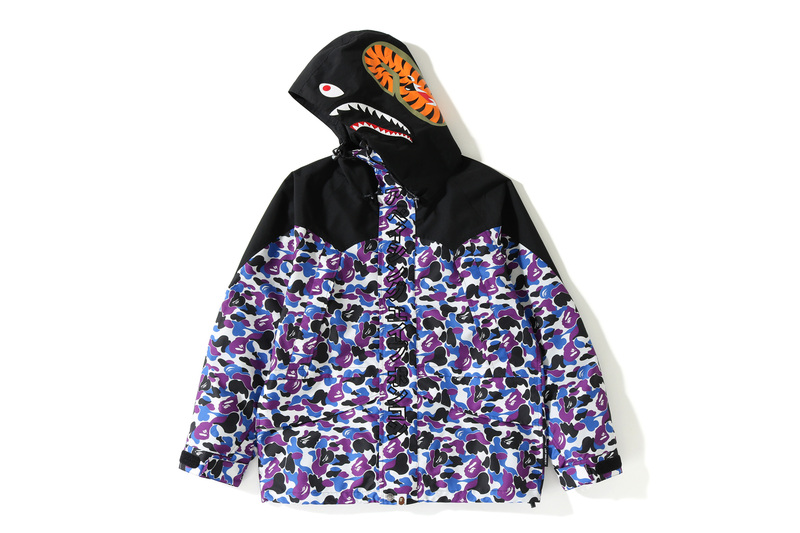 The special range consists of essential items such as various T-shirts branded with the label’s ubiquitous Ape Head motif (along with its lovable side kick Baby Milo), as well as a range of Shark-emblazoned options from a signature hoodie to a snowboarding jacket. 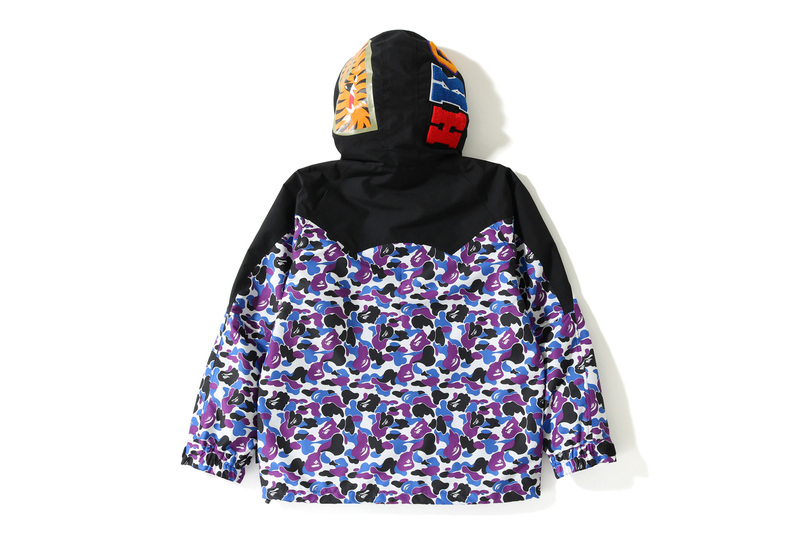 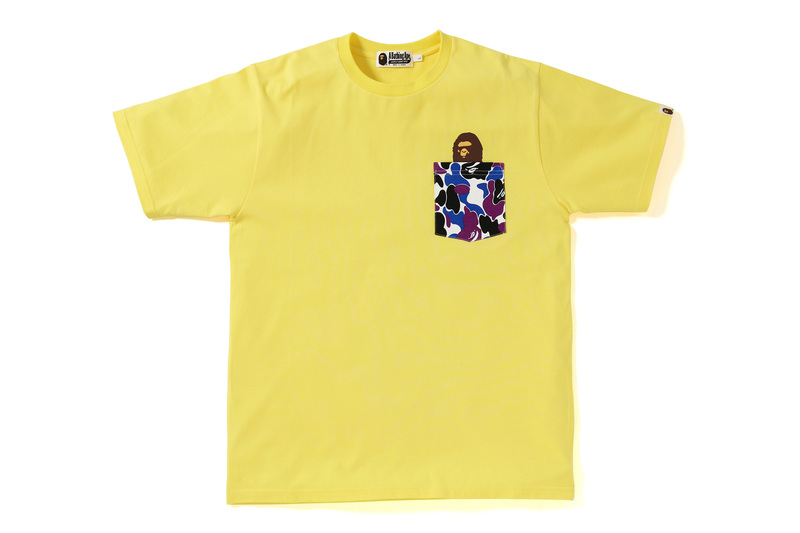 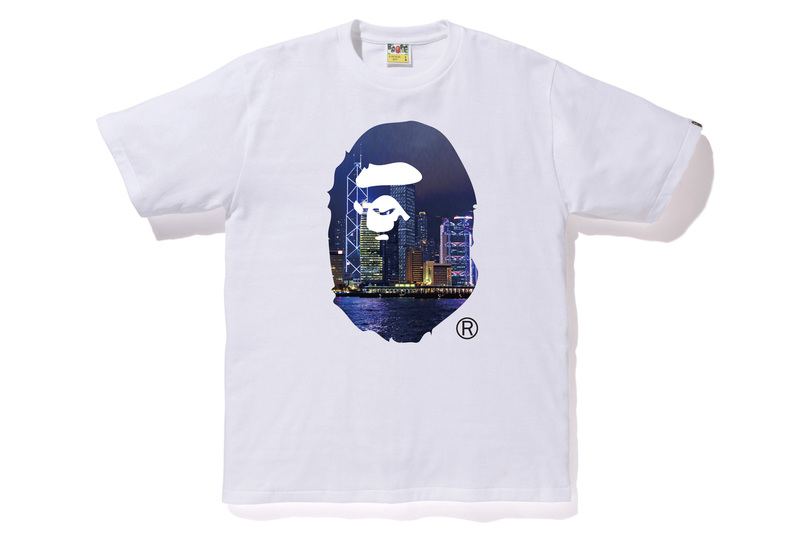 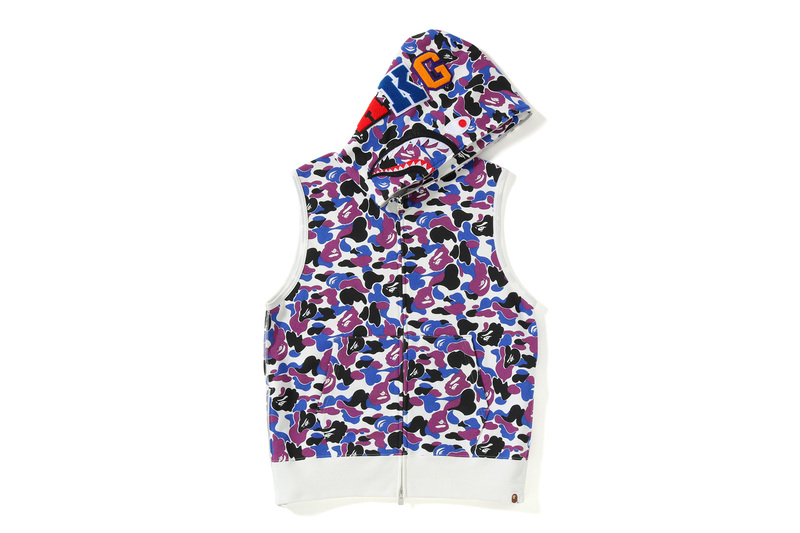 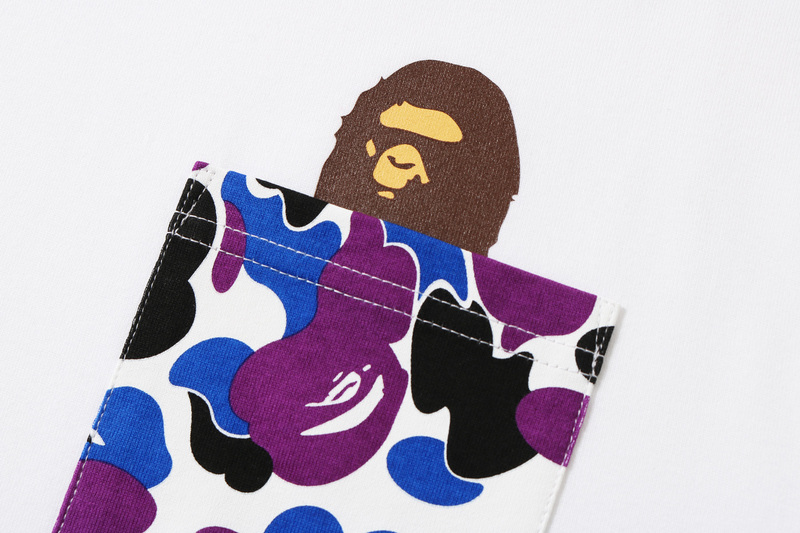 Each item is dressed in a special purple, blue and black camo pattern while the Ape Head insignia features Hong Kong’s famous skyline within it. 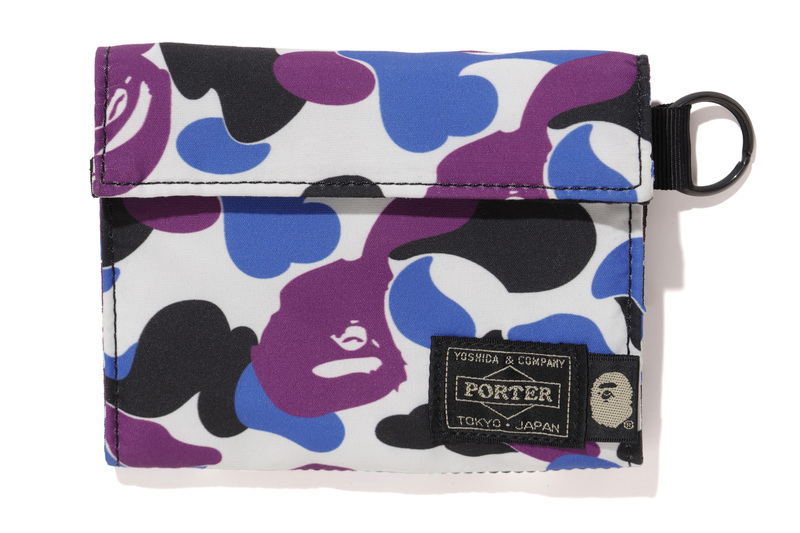 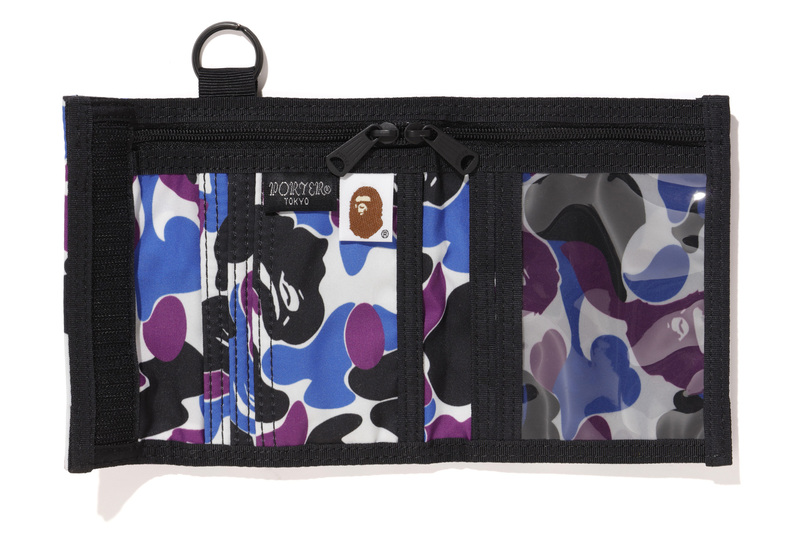 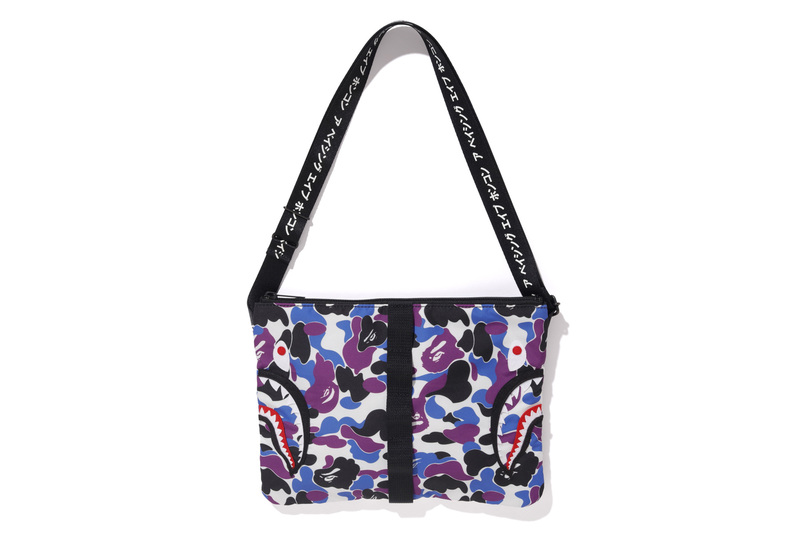 Collaborative accessories done in conjunction with PORTER are also included in the range such as a sacoche and a wallet, also taking on the same aforementioned camo print. 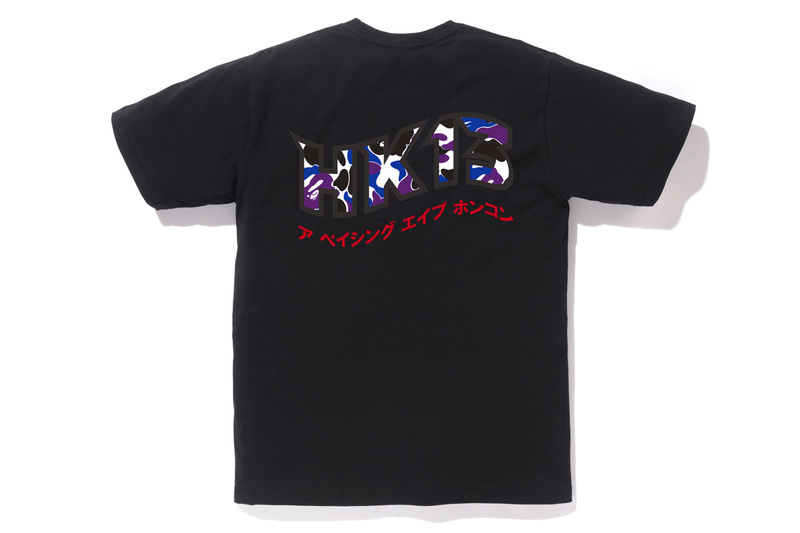 BAPE’s Hong Kong 13th anniversary capsule collection will be available starting this Saturday, April 20 at BAPE’s Hong Kong outlets in both adult and children’s sizing. 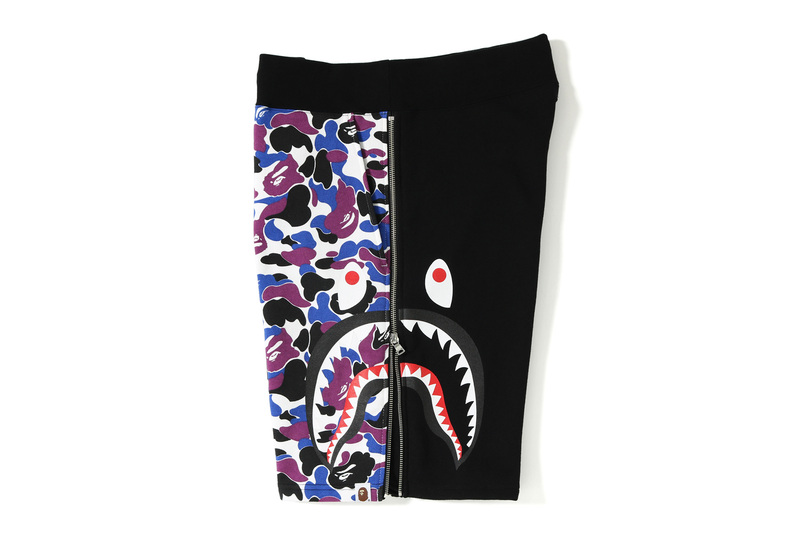 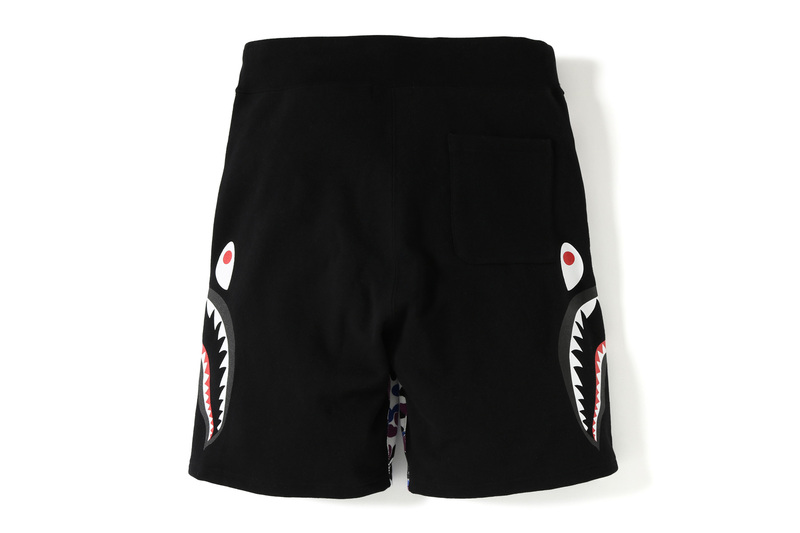 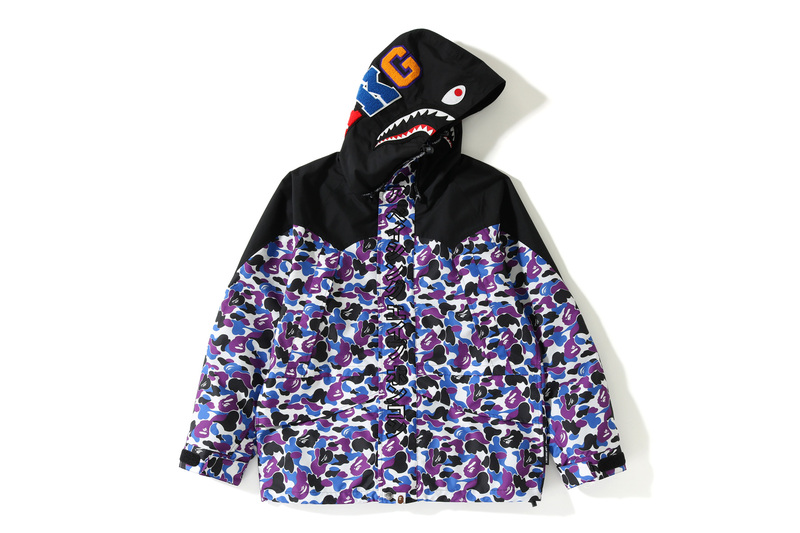 The accessories will range from $1,299 to $2,199 HKD (approximately $166 to $280 USD) while the apparel will range from $5,399 HKD for the Shark snowboard jacket to $1,999 HKD for a pair of shorts (approximately $688 to $255 USD). 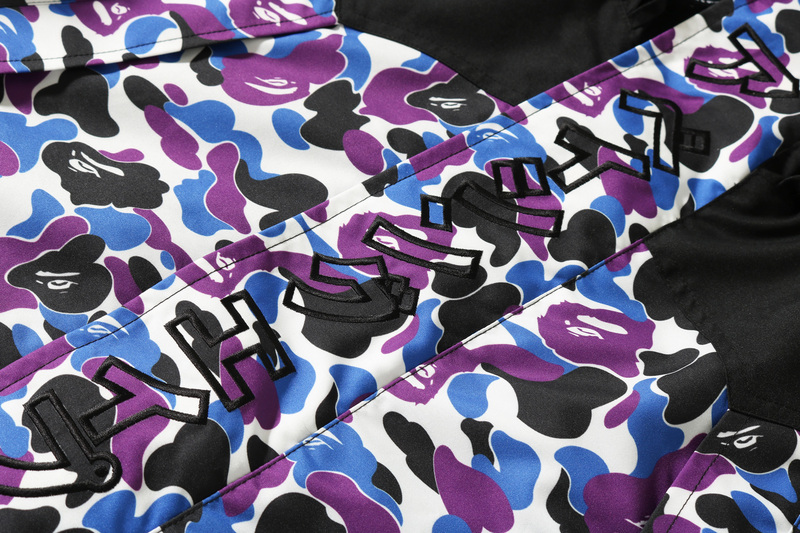 The revered label celebrated its 25th anniversary just last year by teaming up with bevy of industry heavyweights on a range of special collaborative capsules. 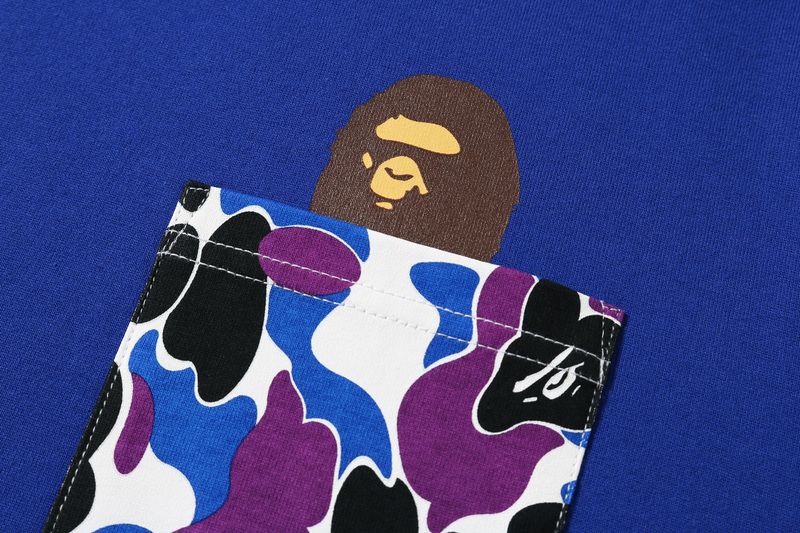 Keep it locked here as they continue to roll out. 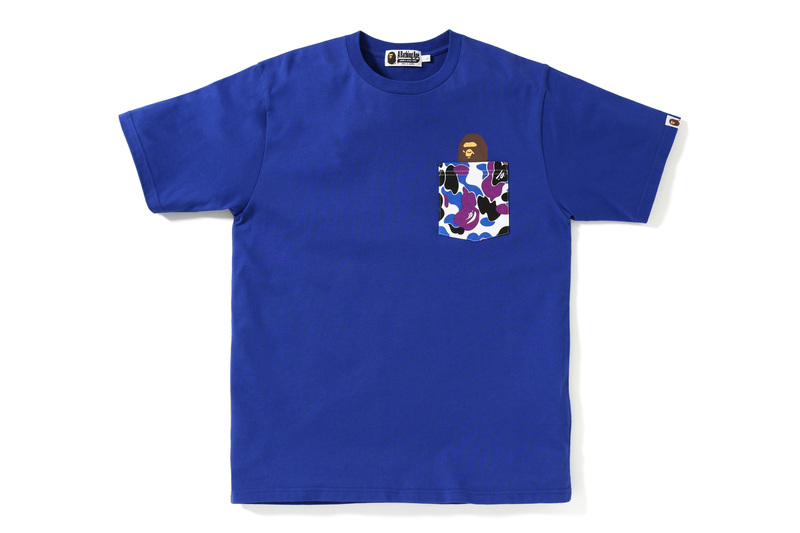 The most recent release was a range with Formula One.